Effective partnerships are born out of mutual understanding and passion. No duo illustrates this better than the fundamental partnering of Elemis and QVC, who have spent the last twenty years growing together while striving to help women across the UK look and feel good. You may have a preconception of the shopping network watched by millions, but it’s increasingly relevant to the modern woman of all ages – who demands effective products that deliver on promises, while providing great value. It’s a guilty pleasure of many, not only because it’s a great way to discover new brands and get beauty tips from the experts, but because the shopping network offers the best deals that other retailers simply can’t compete with. 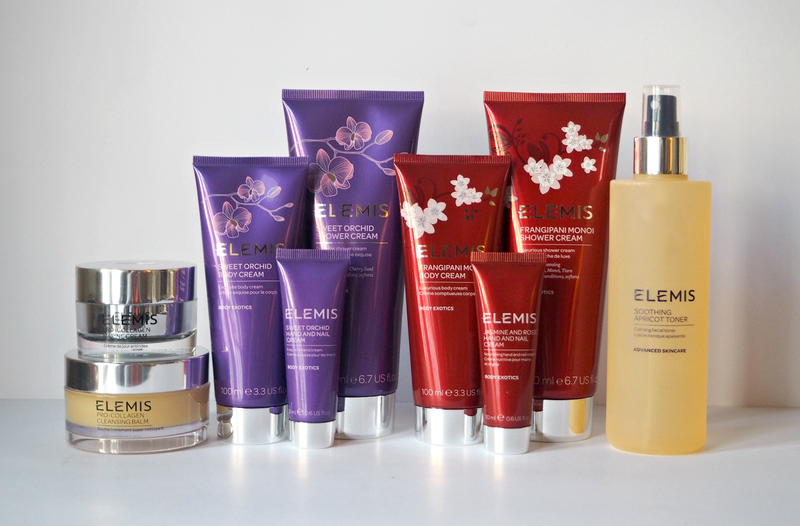 This November Elemis and QVC are teaming up once again to offer an incredible and exclusive offer to their customers; usually priced over £130.00, you can grab this six piece skincare gift for under £45.00 – for one day only! This ‘gift of the year’ offers an effective cleansing, toning, moisturising and pampering routine using some of Elemis’ most iconic and best selling products; it’s the perfect way to celebrate their 20 year partnership with QVC. Available in two scents (the classic and well loved Frangipani Monoi, as well as the new and exclusive Sweet Orchid,) the special edition pack contains Pro-Collagen Cleansing Balm, Pro-Collagen Marine Cream, Soothing Apricot Toner, Shower Cream, Body Cream and Hand & Nail Cream. If you’re an existing fan of Elemis that wants to stock up on some favourites, a newbie to the brand who wants to discover more, or a complete convert that wants to introduce loved ones to some favourites this Christmas, there’s no better time to buy. 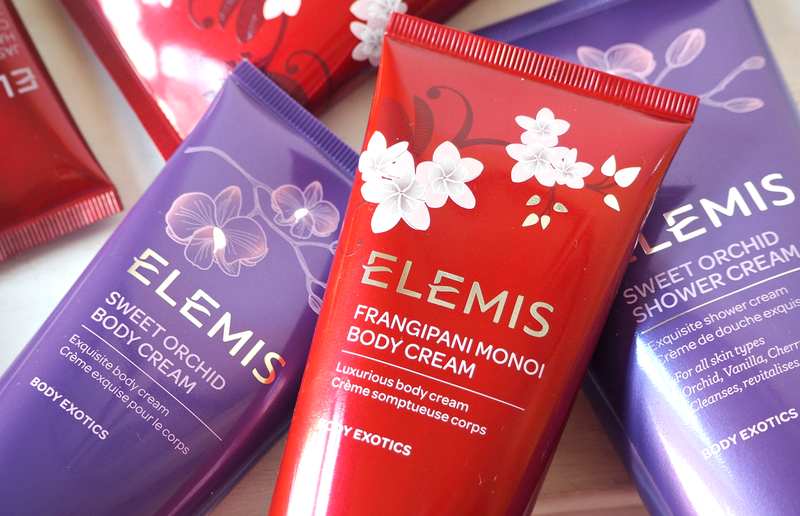 All you have to do is choose between #Frangipani or #SweetOrchid! So what about the products included? Clinically proven, the powerful anti-ageing ingredients of the Pro-Collagen Marine Cream have been shown to reduce the depth of wrinkles, improve skin firmness and increase hydration in as little as 15 days. The Pro-Collagen Cleansing Balm is one of my all time favourites for a reason; this powerful, rich deep cleansing balm dissolves make-up, daily grime and pollutants in an instant. Skin is intensely cleansed, nourished and renewed for a glowing complexion instantly. In addition, the award-winning Soothing Apricot Toner effectively tones and calms the skin while helping to maintain the skin’s natural pH level, without the use of alcohol or other harsh detergents. Furthermore, Elemis’ body products are enriched with Macadamia Oil to leave skin nourished, smooth and delicately scented with a comforting fragrance. All this, packaged in a handy silver keepsake cosmetics bag, for less than £45.00! If you want to get your hands on this exclusive set and fragrance at an incredible one-time-only price, then you’ll need to tune into QVC this Sunday (15th November) or get yourself online right now using this exclusive link to claim the offer before it goes. You won’t regret it – and neither will your bank balance. So which side are you on? #Frangipani or #SweetOrchid? Tweet us (@LBQblog @Elemis & @QVCuk) and let us know. This is a sponsored post on behalf of QVC. All opinions are my own.